What are the best worktops for Kitchens? Kitchens are the showpiece of a home, not only do we cook here, we socialise and do our homework here sometimes too. Moreover a new kitchen can add around 5% to the value of your home so you may look to your kitchen as an investment. When it comes to selling your home the kitchen can stand to offer around a 50% return on your investment so it is worth spending according to the maximum/ceiling value of the home. Overspending will mean you are unlikely to see a return on your investment, however under spending will not only make your home harder to sell but can actually bring the value down. 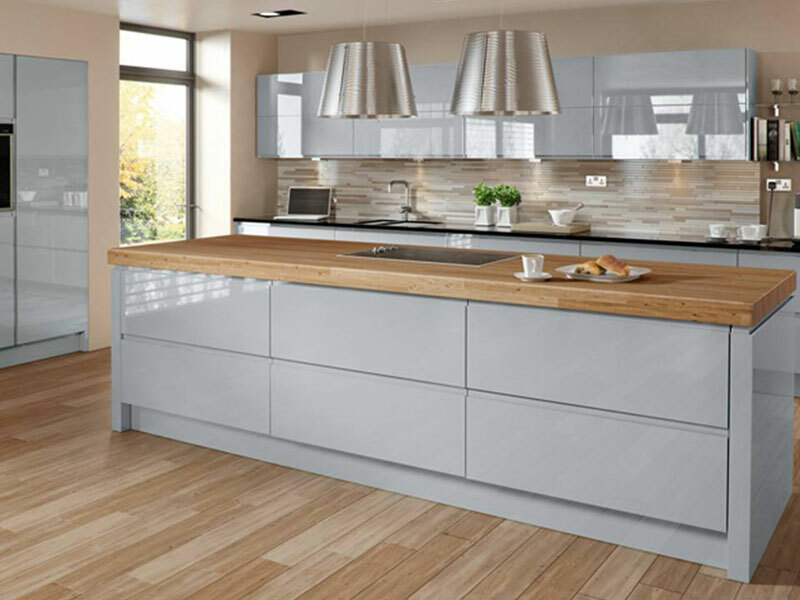 The kitchen worktop is something we interact with on a daily basis so it is important to ensure we select the right worktop that works for you and not the other way around. You should expect to spend around 10 to 15% of the kitchen renovation budget on your worktops. 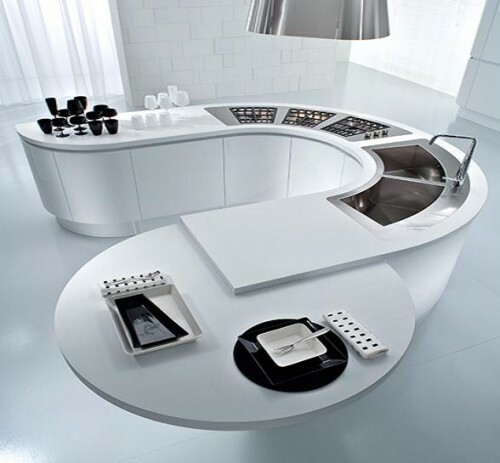 There are a wide variety of kitchen worktops to choose from and the options available can be overwhelming. Here is a run-down of the main pros and cons for some of the most popular materials used for kitchen worktops in the market today. For centuries granite has been the go-to material for architects and designers looking to add that wow factor to their creations whilst needing something that is strong and durable. Granite is 100% natural and begins its life below the Earth’s surface which is how it gets its superior strength. Second only to diamonds in terms of natural strength, it is widely used for kitchen worktops due to its beauty, durability and antibacterial properties. The smooth polished finish is ideal for rolling dough for all you baking enthusiasts! Granite worktops are also available in honed and matt finishes now too. Adding a natural stone worktop will really add value to your kitchen and stands to make your kitchen more appealing to potential buyers if you plan to sell in future. This is a man-made stone which is typically made of 97% natural quartz minerals with 3% of polymers and resins to add strength and colour. 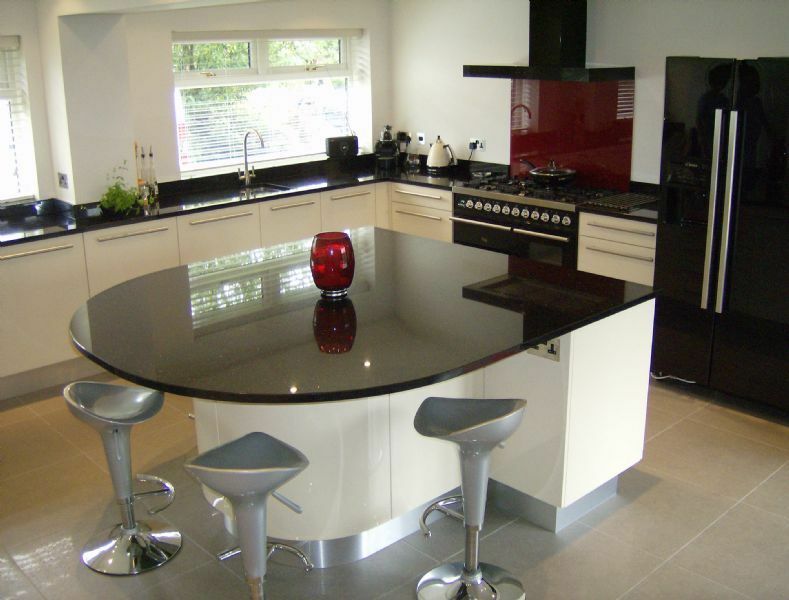 In recent years Quartz worktops have grown in popularity which has had a knock-on effect to the price. 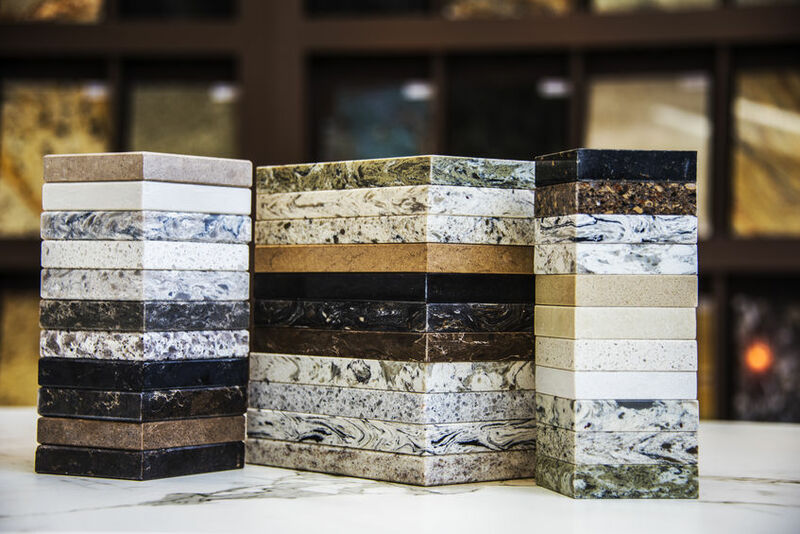 Quartz can now be purchased for similar prices to Granite however they offer a superior level of strength, consistency and choice when compared to natural stone. Being man made the appearance, strength and other antibacterial properties can be controlled and are therefore designed to serve the modern day family kitchen. They are the perfect balance between Natural Granite worktops and Solid Surface worktops such as Corian. 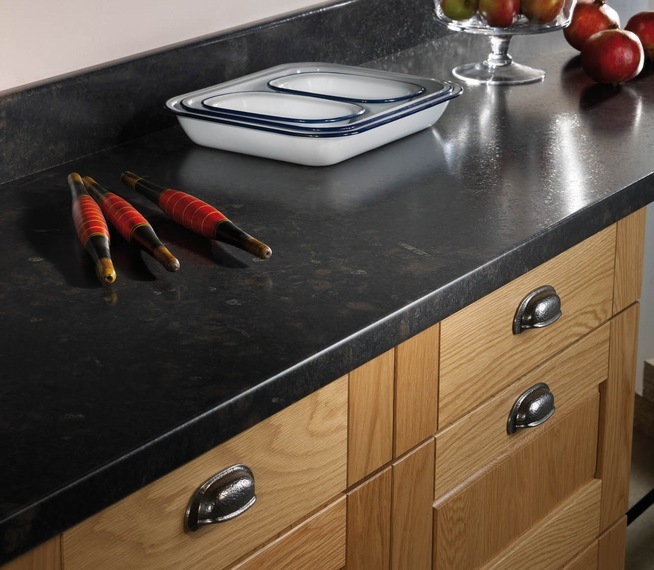 Quartz worktops offer all of the beauty and appeal of Natural stone without any of the potential pitfalls. 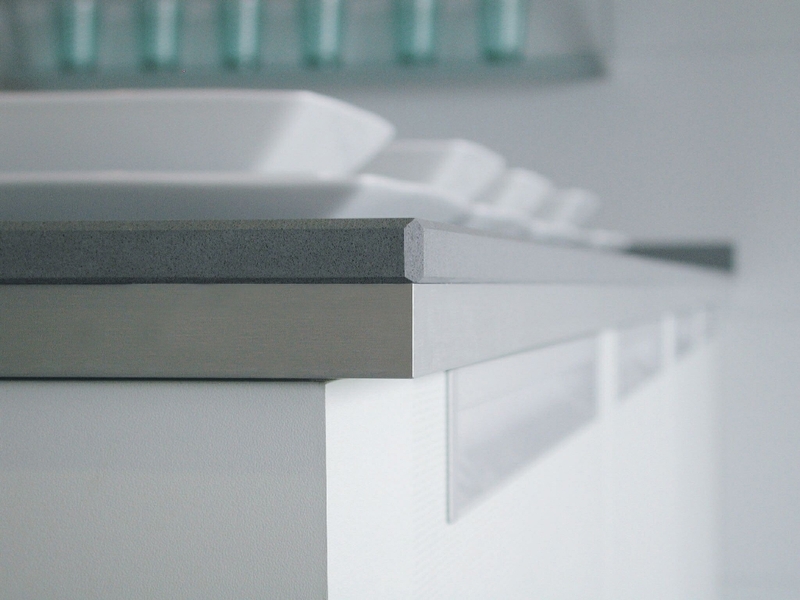 Where Corian can look less natural it has many functional benefits, Quartz is the perfect balance between the two. Made from a blend of polyester and acrylic, solid surface worktops are the latest generation of man-made kitchen worktops on our list. These worktops are ideal if you want invisible joints and a smooth seamless finish but will need to be fitted by a qualified solid surface expert. There are a huge variety of mostly modern colours available and can be fabricated to almost any size and shape. By far the most expensive worktops on our list they are marketed as heat and scratch resistant, however, this is a bit of a misnomer. 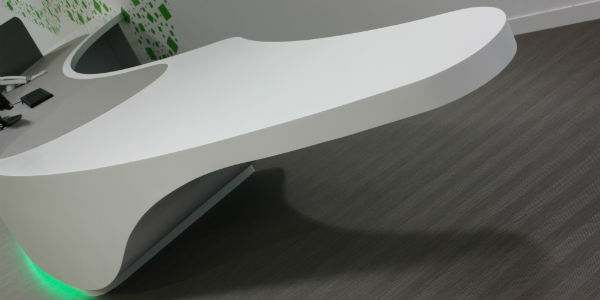 The scratches and burns can be sanded and buffed out but Corian can get expensive to repair. The worktops are made of majority plastic so beware placing hot pans directly on the surface is a complete no-no and can cause the seams to break away. Natural hardwood worktops can look great in both a modern or traditional setting, they perfectly complement an array of styles and colours however they are much harder to maintain. Hardwood when used as a kitchen worktop would need to be treated and sealed, this would then need to be repeated twice a year to ensure the worktop retains its beauty. Wood is also less resistant to scratches and staining, however with time and regular treatment the hardwood worktop will mature and help to give your kitchen a warm and welcoming feel. Similar to mixing and matching kitchen cabinet doors, hardwood worktops can be mixed with Granite or Quartz worktops too. 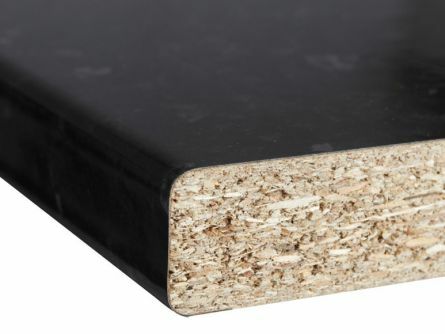 This is a great way to save on material costs as the hardwood worktops are generally cheaper than stone, blending the two materials together is an effective way of having the best of both worlds. Hardwood is ideal for chopping areas, butchers blocks and other high traffic areas but can begin to look tired around wet areas such as the sink. If you are mixing wood and stone we would recommend using stone for the wet areas and on the island piece to ensure your worktops look like new for years to come. This is by far the most popular choice for kitchen worktops due to the price, versatility and durability. 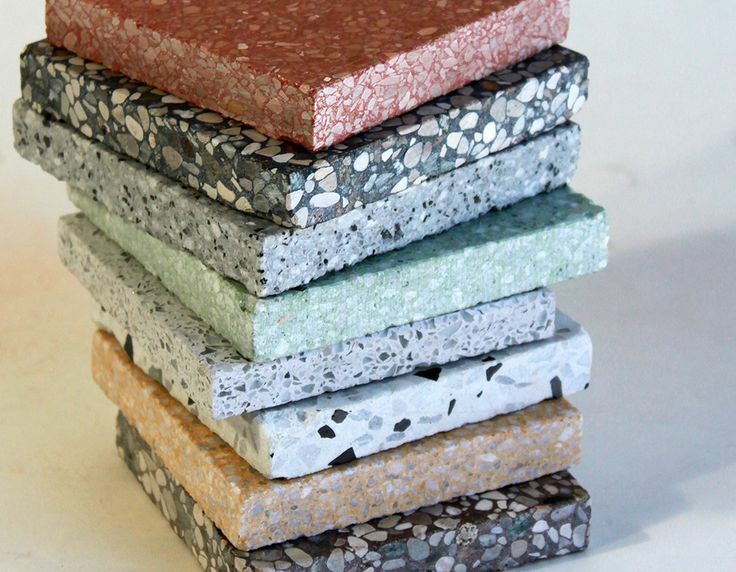 Laminate worktops are made from MDF, plywood or chipboard which is glued to a timber substrate that is coated in plastic formica or laminate. 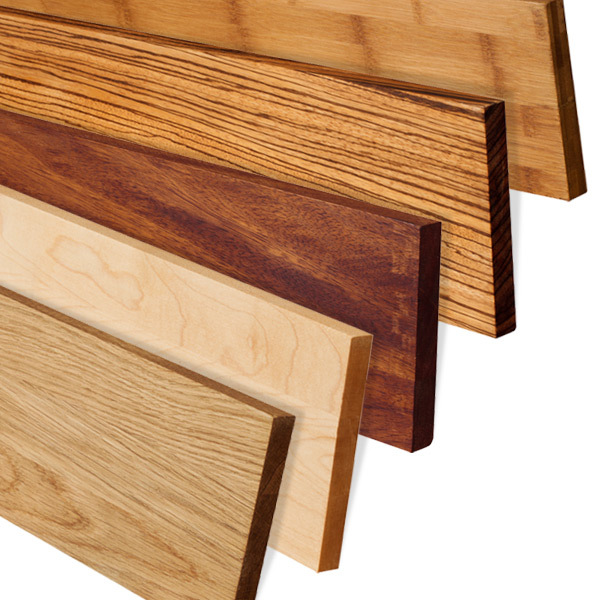 The options are endless and many laminates can mimic more expensive stone and hardwood worktops. They are also easy to install and readily available to buy from most kitchen outlets and DIY shops. Although the worktops are scratch and heat resistant be mindful that the plastic laminate can burn if exposed to very high temperatures from hot pans being placed directly onto the surface, so using a trivet is always advised. Also, water can penetrate joints and this can cause the underlying timber substrate to lift and peel. So here you have our list of the most popular kitchen worktops available for purchase in the UK market place today. We hope you have found the information listed here helpful and it can go some way to helping you make an informed choice when it comes to renovating or replacing your existing kitchen. Please email your comments and feedback regarding this or any future posts you feel would be helpful.